ALERT! ALERT! There is trouble on the hill behind my house! How would you react to such a threat? I huffed and puffed, paced, and raised my fur in a classic mohawk to show that I wasn't messin' around. It took all my strength to restrain myself from bursting out in uncontrollable barks. And you know what? Even after my serious intimidation the darn beast didn't budge! I had to camp out by the window so that I could keep my eye on it. Thanks for visiting me! Heck if I saw that thing I would bark and bark and bark. Tell your Mom that if it keeps bothering you, she should get some Rescue Remedy...it helps me when the fireworks start!!! I have given you a "Long Lost Friend" Award. Why don't you come over for a visit and claim it??? Hi – Will you please post a link to your Blog at The Boston Terriers Community at vorts.com? Our members will love it. 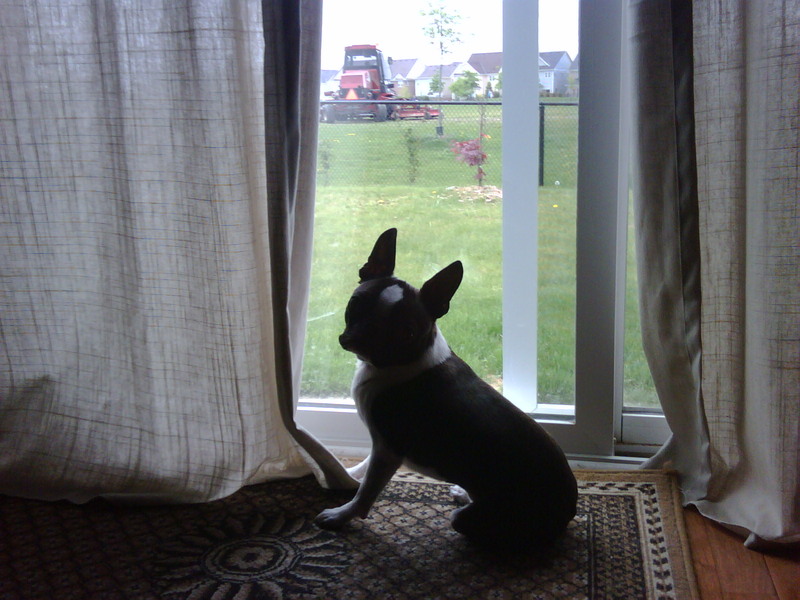 Members include: Boston Terriers Owners, Breeders, Trainers, and Lovers.